Wealth Management Process | Kremer & Associates, Inc.
Our investment management process is unique because it does not focus on the typical buy and hold strategies. In today’s volatile markets, simply buying and holding a portfolio of investments is far more challenging and problematic. The days of “set it and forget it” are in the past, and a more proactive approach has become necessary. Today an investor must be ready with a strategy to help protect a portfolio against market volatility. This requires regular monitoring and adjustments made to your portfolio. That’s why we employed research and a statistical trend following model that guides us through market trends in order to proactively target growth and manage risk. 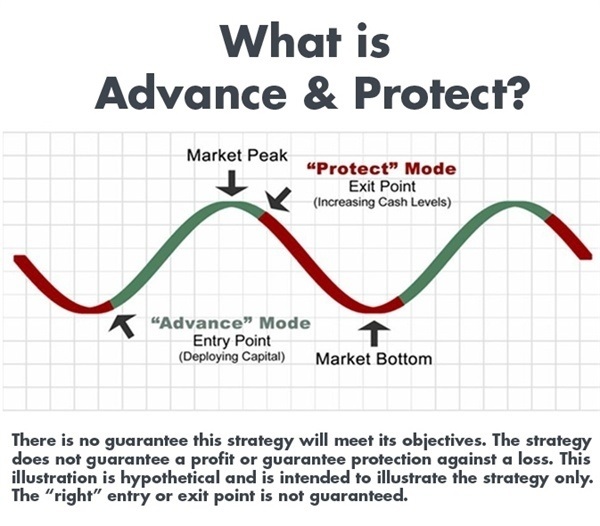 Instead of buy and hold, we prefer the dynamic approach of our “Advance & Protect” management process. The primary focus of our approach is to help manage risk. We want to help you capitalize on market growth while implementing protective measures when the market is falling. Through strategically timed intervals, we regularly monitor and make adjustments to your portfolio to reflect current market conditions. With our Advance & Protect management process you can rest easy knowing your portfolio is being actively reviewed and managed. or exit a market. There is no guarantee that the investment objective will be met.